Is another false flag CW attack on the drawing board of the Pentagon? 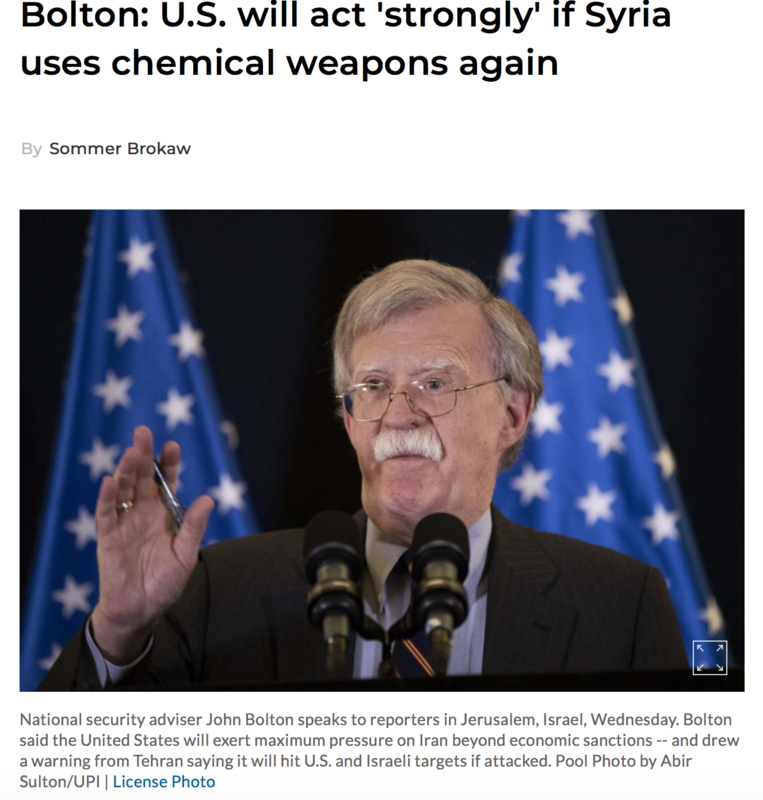 It’s intent (according to Bolton) would be to provide legitimacy to a US and allied “humanitarian” bombing, i.e. “Responsibility to Protect”, i.e. “war with a human face”. The above report remains to be corroborated or refuted. The Western media has remained silent. It has not taken the trouble (with a couple of exceptions) to report or challenge the statement of the Russian Defense Ministry. The unspoken truth is that the US and its allies including Israel are largely intent upon sabotaging the peace process in Syria. Now that the details concerning the alleged false flag CW operation have been revealed, the question is whether the US and its allies will go ahead with the punitive bombing raid against Syria. “The Black Sea Fleet’s frigates Admiral Grigorovich and Admiral Essen armed with Kalibr cruise missiles will join the Russian Navy’s Mediterranean task force, the Fleet’s press office reported on Saturday. These developments are of strategic significance. The Russia-Turkey relationship has facilitated the routine deployment of Russia’s Black Sea fleet out of Sevastopol in Crimea through the Bosphorus into the Eastern Mediterranean. From Russia’s perspective, the naval integration of the Black Sea and the Eastern Mediterranean constitutes a major turning point which also affects the deployment of NATO naval forces in the Black Sea out of Romania and Bulgaria. We are dealing with a geopolitical shift: With Ankara siding with Moscow, the Russian Federation has regained control over the Black Sea Basin. Both governments agreed in January to remain in “close coordination” to “avoid misunderstandings”. About Turn: In recent developments, Washington has reaffirmed its support for the YPG (against Turkey) in defiance of the January understanding with Ankara “to collaborate”. In turn, Russia and Turkey are coordinating their actions in Syria against the US supported Kurdish YPG. He was referring to more than 2,000 US and allied troops deployed in territories in Northeast Syria under Kurdish YPG control. (Press Tv, 25 August 2018). 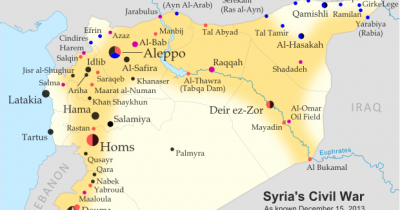 US military deployments in Northeastern Syria are in practice (not officially) also directed against Turkey, with a view to creating a separate Kurdish proxy state in Northern Syria. “The no fly zone” appears to be modelled on that imposed on Iraq in the wake of the 1991 Gulf War, allegedly to protect Kurds in Norther Iraq. But in this case the US zone of influence is on Turkey’s door step, the No Fly Zone extends to Turkey’s border. While Turkey has established an alliance of convenience with Russia and Iran (both of which are involved militarily in Syria), the US and Turkey are potentially on a “Collision Course” which could lead to a broader war. Needless to say, NATO is in disarray with the US, France and Britain confronting Turkey (which is also a NATO member state) in the Syria war theater.